KABUL, Afghanistan - An American general was killed in an apparent insider attack Tuesday by a member of the Afghan security forces, a Pentagon spokesman said, the highest-ranking U.S. Army officer to be killed in the Iraq or Afghanistan wars. The spokesman, Rear Adm. John Kirby, said that the assailant, dressed in an Afghan army uniform, fired into a group of international soldiers at the Marshal Fahim National Defense University at Camp Qargha, a base west of Kabul, and was subsequently killed. The American general was identified late Tuesday as Major Gen. Harold Greene. Gen. Greene was deputy chief of the training and assistance command which is at the heart of the American strategy to pull its combat troops out of Afghanistan by the end of this year. As a two-star general, he was the highest ranking American officer killed since 9/11, when one of the hijacked airliners smashed into the pentagon, killing, among others, a three-star General Timothy Maude. Another 15 people, roughly half of them Americans, were wounded. CBS News correspondent David Martin reported that some were in serious condition. Among the wounded were a German brigadier general, two Afghan generals and an Afghan officer, whose rank the Afghan Defense Ministry did not provide. While details remained murky about what sparked the attack, it showed the challenges still remaining in Afghanistan, a nation that's known three decades of war without end. 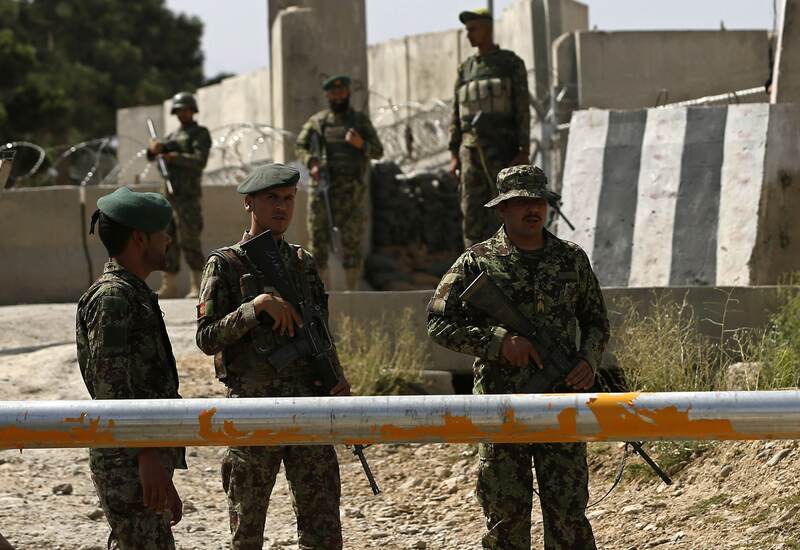 Gen. Mohammad Zahir Azimi, a spokesman for Afghanistan's Defense Ministry, said a "terrorist in an army uniform" opened fire on both local and international troops. Azimi said the shooter had been killed and that three Afghan army officers were wounded. He did not offer a motive for the assault. Martin said it wasn't immediately clear whether the attacker was in fact a member of the Afghan military, or just wearing a stolen or fake uniform, though Kirby said he had no reason to doubt that the assailant was a member of the Afghan military. In a statement sent to journalists, Taliban spokesman Zabihullah Mujahid praised the "Afghan soldier" who carried out the attack, as well as a police officer in Paktia province who shot at NATO forces earlier Tuesday. He did not claim the attacks. CBS News' Ahmad Mukhtar reported that Camp Qargha is funded by Britain and is modeled on the esteemed Sandhurst British military academy. Camp Qargha is expected to be Britain's only military presence in the country after combat troops complete their pullout by next year. In a statement, the British Defense Ministry said it was investigating the incident and that "it would be inappropriate to comment further at this time." Soldiers were tense in the immediate aftermath of the shooting. One soldier in a NATO convoy leaving Camp Qargha fired a pistol in an apparent warning shot in the vicinity of Associated Press journalists who were in a car, as well as pedestrians standing nearby. AP photographer Massoud Hossaini said he and an AP colleague were about 15 feet from the soldier at the time. "The vehicle before the last one, someone shouted at me," Hossaini said. "The last one, the soldier opened fire."